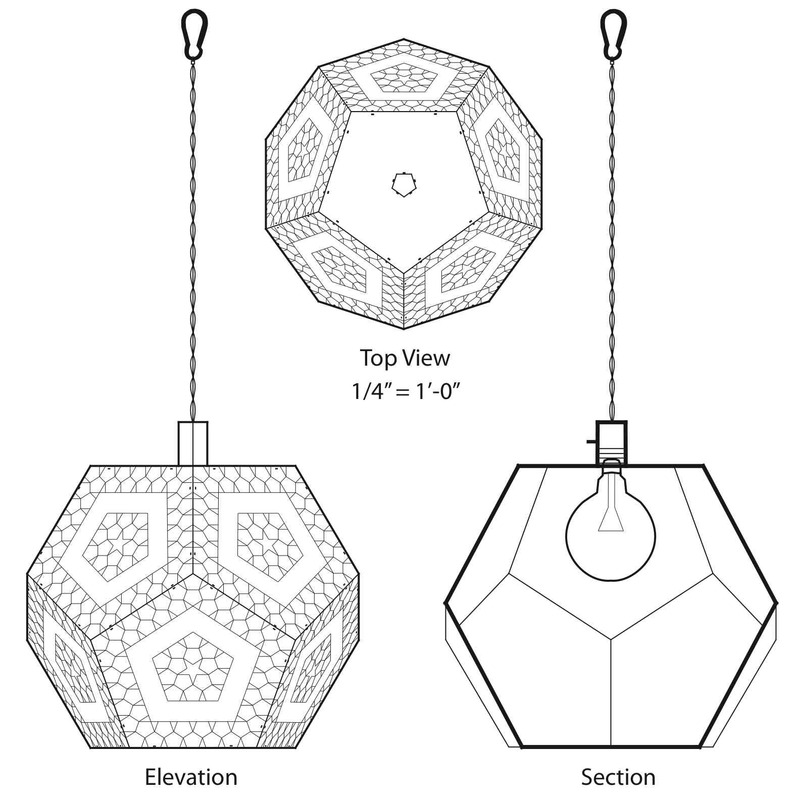 This matched set of pendulum luminaires was conceived as an expression of the platonic solids. The dodecahedral geometry expresses complex relationships between multiples of 5 and 12. 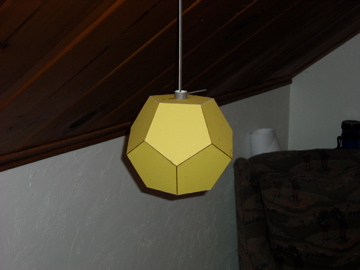 Proportional decisions for this project were not arbitrary, but were based on the proportions created by tessellating pentagons in multiples of 5 along the perimeter and center (respectively). 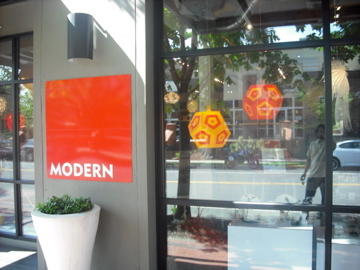 This geometry is etched into the luminaire faces but does not show up in the photograph. The luminaries are constructed out of laser cut translucent plexiglass and held together on the faces with epoxy and with zip ties on the vertices. The construction of the luminaries was engineered from the ground up to accommodate the restrictions of a “flat pack” shipping method. Los Globos Del Luchador are named for their resemblance to luchador masks when viewed straight on. 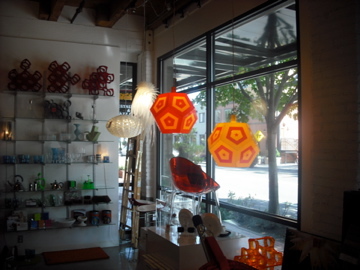 These luminaries were featured in a spring 2009 exhibition at Modern, a Eugene based design gallery. 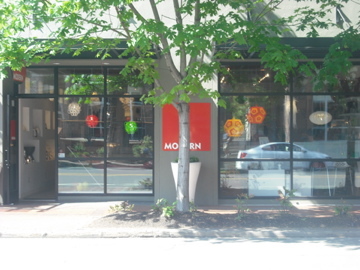 These images show Los Globos Del Luchador being displayed in the front window of the Modern gallery. 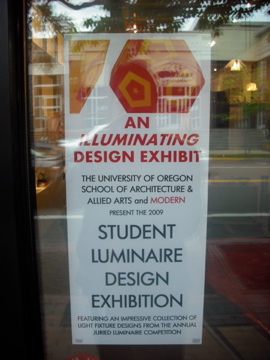 These luminaires were chosen as the centerpiece of the student luminaire exhibition and were used to create the circulation flyer for the event. 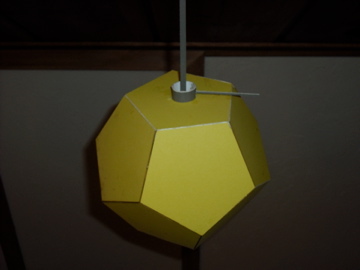 The following images represent a 1/4 scale model of the luminaires built before construction. The following image is an orthographic projection of the working template for Los Globos Del Luchador. It shows a top and side elevation as well as a section cut showing the light bulb and fixture.